Did you know if you eat four slices of bacon, or one hot dog every day you increase your risk of colorectal cancer by 18 percent, and pancreatic cancer by 67 percent. 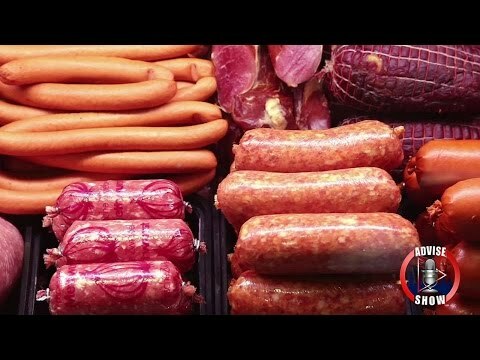 The world health organization has classified processed meats as cancer causing. Also we’ve got bad news for Nutella lovers. The key ingredient that gives the spread its smooth, creamy texture is likely cancer causing. The European Food Safety Authority says that palm oil, the cheapest vegetable oil around and a key ingredient in Nutella, produces carcinogens when heated to 392 degrees Fahrenheit. And the cancer causing chemical acrylamide found in cigarette smoke and building materials; can also be found in french fries and potato chips. Potatoes have also been found to have some of the most pesticide residue of all the fruits and vegetables. Finally if you’re turning to fish to clean up your diet, avoid farmed salmon. A study at the University at Albany found it is often full of cancer causing contaminants such as pesticides and even flame retardants. Stick to wild salmon instead. And microwave popcorn may seem like a harmless snack but it also contains a cancer causing agent. The problem isn’t with the popcorn itself, it’s the bag that it comes in which is lined with a chemical called PFOA which has been shown to increase the risk of certain cancers.